This cool new spring assisted knife has a nice metallic blue colour on its Titanium coated blade and stainless steel handle. 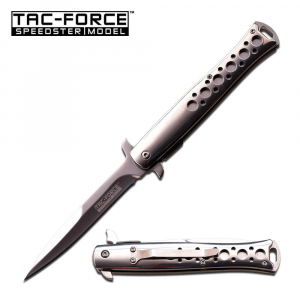 The knife has a frame lock mechanism, a smooth spring assisted deployment and a sharp three inch blade. Pocket clip included. This cool new spring assisted knife has a nice metallic blue colour on its Titanium coated blade and stainless steel handle. 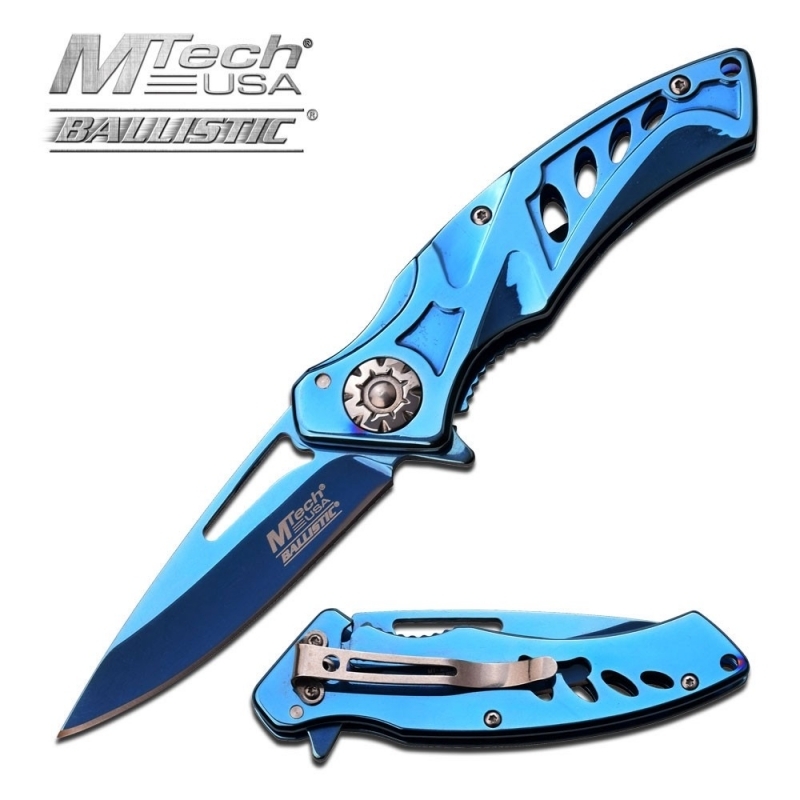 Made by MTech USA. 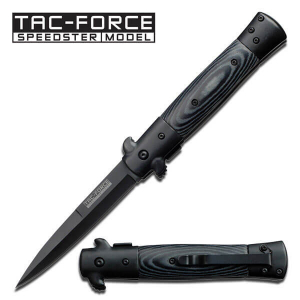 The knife has a frame lock mechanism, a smooth spring assisted deployment and a sharp three inch blade. Pocket clip included. This is a handmade large stiletto knife with spring assisted opening. It looks fantastic and the picture does not do its shiny mirror finish justice.